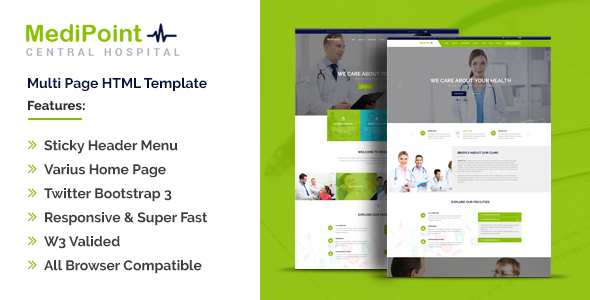 MediPoint | Responsive HTML5 Medical Template is one of the Latest and World Standard Multipurpose Responsive HTML Template. Using MediPoint user can get to Start their Business at Medical Centre, Hostpital, Medical Clinic, Meddical Shop and Medical Store. Its has 17 Pages with two different home page and 2 about us page with full e-commerce pages included.